The Litter-Robot frees you from the chore of litter box scooping. You can be confident that your cats have a litter box that is cleaned automatically, reliably, and consistently. The large waste drawer holds several days' worth of waste, saving you time spent scooping litter and giving you the freedom to do what you enjoy! You can go anywhere from a short business trip to a week-long vacation without worrying about your cat's litter box. Cleaning the litter box is now as simple as changing a kitchen garbage bag. If you have several cats, you will need to empty the drawer more than once per week, but you will never have to scoop a dirty litter box by hand ever again! Cats prefer a clean place to go every time. The Litter-Robot's reliable, patented sifting process promptly removes waste clumps from the litter, providing a clean, level bed of litter for the next use. The Litter-Robot gently and quietly separates the waste clumps from the clean litter by rotating the globe to sift the litter. The clean litter stays in the globe while the waste drops to a disposable bag held in a concealed chamber under the globe. Unlike competitors, the Litter-Robot has no rake mechanisms that can get jammed or clogged. 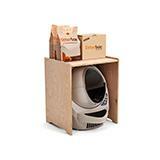 The Litter-Robot is a reliable, automatic self-cleaning cat litter box that consistently works for every use. The Litter-Robot waste drawer is designed to fit a variety of liners. Inexpensive 10- or 13-gallon kitchen garbage bags, and even larger plastic grocery bags will do the job. 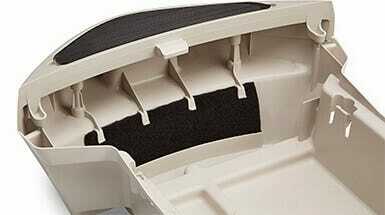 If you’re seeking a biodegradable option, we offer custom-fit Waste Drawer Liners, in various size packs. It’s up to you! We want this product to make your life easier, without any gimmicks or hidden costs. 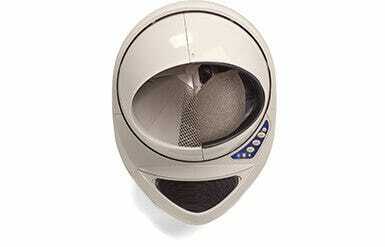 The Litter-Robot accommodates a wide variety of clumping clay cat litters. Litter crystals, pearls, and biodegradable types are all compatible with the Litter-Robot. Experience and actual use tells us that some brands are better than others for moisture absorption, dust content, odor control, and more. We know you have a favorite cat litter for your pets, so we want to avoid any additional costs or a change in your routine—other than freeing you from scooping cat litter! The concealed Litter-Robot waste drawer was designed to prevent mold growth, thereby controlling and nearly eliminating that telltale litter box smell. Waste is still waste, so we recommend emptying the waste drawer once every 7-10 days for a single cat household. Additionally, the use of clumping litter helps with litter box odor control. The encapsulated clumps, hidden waste drawer, and carbon filter system go above and beyond isolating the waste and litter box odors. To claim that the Litter-Robot is like a breath of fresh air might be pushing it, but many of our customer testimonials have said exactly that. We are certain that the air in your home can and will smell much fresher and far less like a litter box with the Litter-Robot. 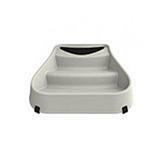 The Litter-Robot operates at a safe voltage level of 15 volts DC (adapter included). There are no moving parts, sharp objects, or electrical wiring inside the globe that could harm your cat. A safety mechanism prevents the Litter-Robot from operating when a cat is inside. 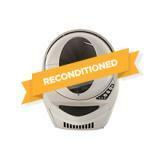 As an additional safety feature, the globe rotates very slowly, but efficiently, during the cleaning cycle. If your cat tries to re-enter during the cleaning cycle, the motor will shut off automatically. The spacious globe provides a large litter bed area for your cat. 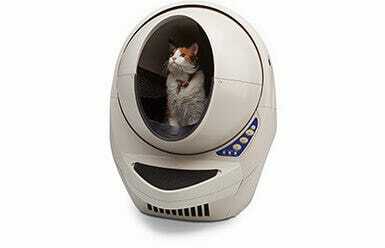 The Litter-Robot III Open Air accommodates cats as small as 5 pounds and as large as, well, you tell us! 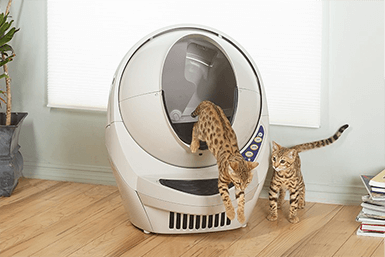 With the enlarged entryway and set-back rotation system, our customers report that cats as large as 30 pounds have used the Litter-Robot III Open Air. If you are unsure whether your cat is an appropriate size for the Litter-Robot, check out our Frequently Asked Questions. Like an efficient appliance, the Litter-Robot saves you money over time by using fewer resources. No need to purchase special receptacles, bags, or chemicals. All you need to use the Litter-Robot is a small amount of electricity (or battery), waste drawer liners, and clumping cat litter. The patented Litter-Robot sifting system removes only the clumps, leaving maximal clean litter after each cycle. Litter-Robot customers report saving up to 50% on litter annually, compared to traditional and other automated litter boxes. We aim to reduce as much environmental impact as possible. The Litter-Robot standard litter efficiency and compatibility with biodegradable cat litters make this a litter box that you can brag about! We are located in Michigan and ship from our manufacturing facility in Wisconsin. Buying local reduces energy consumed and pollution emitted by transporting products overseas. We aim to reduce our environmental impact as much as possible, from manufacturing to end user. We offer Biodegradable Cat Litter and Waste Drawer Liners, and we've maximized the Litter-Robot's efficiency to make each of them go further. The Litter-Robot is a home appliance that no pet parent should live without! It is designed for quality and will provide you with reliable, trouble-free service and requires very little maintenance. 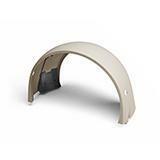 Solid construction and industrial-grade components ensure a long life (maybe even the nine lives of your cat!). But in the unlikely case that your cat doesn't take to the Litter-Robot or there is a defect, you are protected by our 90-Day Money-Back Guarantee and 18-Month Warranty. 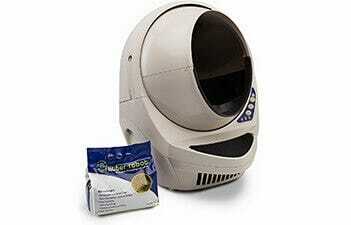 AutoPets stands behind the Litter-Robot automatic self-cleaning litter box with an 18-Month Warranty. During the warranty period, if you have an issue with your Litter-Robot, just ship it to us and we will repair it at no charge. Please note that customers outside the contiguous 48 United States will incur additional shipping charges. Try the Litter-Robot in your home and experience freedom from litter box scooping. You are protected by our Money-Back Guarantee. If you or your cat are not completely satisfied with the Litter-Robot for any reason, simply send the unit back within 90 days to receive a refund of the purchase price. Your only financial risk is the return shipping cost which will be approximately $50 to $90, depending on your city and state. We can provide a return shipping label via FedEx for a $60 deduction from your refund (or $75 for home pickup)—just contact us. Please note, return shipments outside the contiguous 48 states may incur additional shipping costs. If you purchase your Litter-Robot through a source other than AutoPets, you must coordinate the return with that company according to their return policy. Be sure to review the seller's return policy before making your purchase decision. Our goal is to make caring for your pet easier and more enjoyable. If you have any questions, we're here to help. Customer Service is available Mon-Fri, 9am–7pm Eastern 1-877-250-7729 or email support@litter-robot.com.